Now's Your Chance To Own A Paper Mill! Now’s Your Chance To Own A Paper Mill! Maine’s governor, Paul LePage, has spent his first months in office insulting the NAACP and redecorating state offices, but he and members of his administration have also made time to participate in a proud, sad local tradition: hunting for a buyer to take over a near-abandoned manufacturing facility, any reasonable offer considered. Until its operation ground to a halt this spring, the mill in question was a surviving pillar of Maine’s papermaking industry, the dominant force in the small northeastern town of East Millinocket. Right next door in Millinocket there is another paper mill, also idle. The same Canadian asset management company owns both mills and is so anxious to be rid of both of them, its asking price is one dollar (American, but they’d probably take Canadian, too). If the LePage administration and local officials cannot find a buyer by June 15, liquidators will move in to dismantle the machinery and sell it on the busy used-mill-equipment market. So, do you have a dollar? Would you like to buy a paper mill? How about two paper mills? Two paper mills, with equipment and employees, for one dollar. It’s a bargain, right? Now the people of eastern and northern Maine are struggling to comprehend something else: What will happen if the machines are dismantled, and what will the future hold for a workforce whose next-best job market is 70 miles away, in Bangor. The ailing mill has become a totem in American politics, on par with the heartland farmer and the working mother. Its condition is fodder for campaign ads and stump speeches, and — depending on the agenda — the cause of its trouble is variously attributed to overseas competition, U.S. trade policies, labor unions, state regulations, oil prices, short-sighted corporate profitmongers, Democrats and Republicans. There is more than enough blame to go around. In the case of Millinocket and East Millinocket, many believe the decline began in 1970 when Great Northern acquired a Wisconsin-based rival, Nekoosa-Edwards. Both companies were expanding, and both had their eyes on the South, where trees grow faster and unions are quieter. Like most paper and timber companies of the time, the newly formed Great Northern Nekoosa realized the smart money was not in New England. Some investments were made in the Millinocket and East facilities, but GNN never managed to resolve energy problems in the Millinocket mill, where old boilers guzzled millions of dollars of oil. (Papermaking requires steam as well as electricity, and the way most mills reduce oil costs is by installing biomass boilers or natural gas systems. A biomass boiler was eventually built at East Millinocket.) The 1973 oil crisis was, in Millinocket, a paper mill crisis. A long list of troubles and workforce reductions followed. Wage negotiations devolved into a bitter strike in 1978. A property dispute with the Passamaquoddy, Penobscot and Maliseet tribes cast doubt on the ownership of millions of acres of timberland and took years to resolve. A spruce budworm epidemic destroyed huge swaths of productive forest. A Great Northern proposal for a dam at Big Ambejackmockamus Falls on the West Branch of the Penobscot fell apart; the company said the hydropower revenue would help finance upgrades in the mills, but its plan was met with stiff resistance. To this day Great Northern supporters claim the project was scuttled by overactive regulators and environmental zealots, while others say tough regulations were necessary to protect the river and its salmon stocks, and to prevent Great Northern from reducing employment in the name of modernization. Then Georgia-Pacific engineered a hostile takeover of Great Northern Nekoosa in 1990, touching off a cascade of sales and spin-offs. Great Northern’s Maine land and mills were sold to Bowater, which rebranded them as Great Northern Paper Inc. This modern incarnation of Great Northern Paper sought tax abatements, divested timberlands and then failed anyway. The mills in East Millinocket and Millinocket experienced shutdowns in 2002, and a few months later, Great Northern Paper declared bankruptcy. That’s how, in 2003, Brascan — a Toronto-based asset management firm that got its start operating Brazilian electric utilities — came to own both mills. Brascan had previously bought a successful Penobscot River hydro station from Great Northern, and in order to add the mills to its portfolio, it requested (and received) property tax and valuation reductions, tax increment financing and concessions from the unions, which accepted pay cuts. The East and Millinocket mills reopened in 2004 as the Katahdin Paper Company. Brascan put their operation under the management of Fraser Papers, a subsidiary of another Brascan subsidiary, which also owns competing mills in northernmost Maine and New Hampshire. In 2005 Brascan adopted the more geographically ambiguous name Brookfield Asset Management. If you live in Manhattan, you have walked past a sampling of its holdings: One, Two, Three and Four World Financial Center; One Liberty Plaza, One New York Plaza, J.P. Morgan’s headquarters on Park Avenue and a pair of Skidmore, Owings & Merrill towers in Midtown. With Brookfield in charge, a turnaround did not seem entirely farfetched. The firm had money to invest in equipment upgrades, and Millinocket’s famous No. 11 machine resumed producing tons of high-quality magazine and catalog paper. Although employment in the two mills measured in the hundreds, not the thousands as in the Great Northern heyday, at least there was employment to measure. But permanent revitalization didn’t happen. 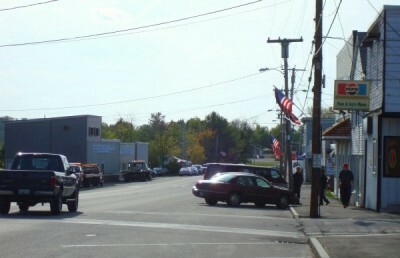 Millinocket continued to run on expensive fuel. East Millinocket’s primary products were, alas, newsprint and telephone directory paper. According to some employees, the mill’s management was ineffective and uninspired. 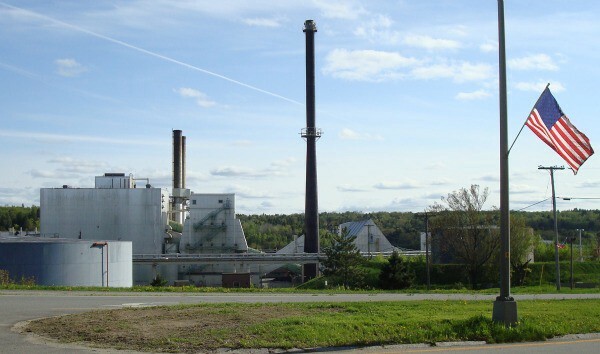 In September 2008 Brookfield announced it was closing the Millinocket mill, citing the cost of oil and claiming it had lost $57 million in four years. Nearly two hundred people lost their jobs. Shortly thereafter Fraser Papers declared bankruptcy. In East Millinocket the mill, which employed about 450 people, soldiered on as a fresh crop of distressed-asset investors began nosing around. Earlier this year a San Francisco investment firm called Meriturn Partners made a tentative agreement to acquire both mills. The potential sale was clouded with conditions. 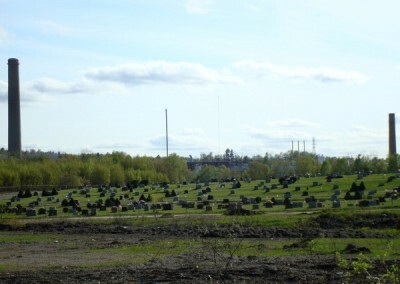 Meriturn did not want to be responsible for the costly cleanup of an old mill dump in East Millinocket, and a preliminary labor agreement would have made Katahdin region workers the lowest-paid papermakers in the state. Most of all, Meriturn wanted a $48 million municipal tax break over the next decade, which would have forced Millinocket to slash services and shift a heavy burden to individual taxpayers. Asset managers are now a permanent feature of the American pulp and paper industry. NewPage is owned by Cerberus Capital, the notorious buyout giant chaired by Bush 2 Treasury Secretary John Snow and J. Danforth Quayle. Verso Paper, once the coated paper division of International Paper, is an Apollo Management portfolio company. Georgia-Pacific was acquired by Koch Industries in 2005. PE firm Madison Dearborn bought Boise Cascade in 2004, then sold its paper and packaging business to Aldabra 2 Acquisition, a “blank check” company created for the deal by Terrapin Partners. All of which raises the question: If legislators rattle their swords for protectionist trade policies, tax breaks or attacks on Chinese paper subsidies, are they protecting American pulp and paper jobs or are they protecting wealthy investors? In many cases, the answer is, what’s the difference? If paper mill workers can’t live without private equity investors, perhaps there’s a way they can live with them. These days, if you start talking about paper mills and investment — especially if you are in New England — pretty soon someone will invoke Lynn Tilton’s name. The Old Town Fuel & Fiber mill, sixty miles downstream from Millinocket, was acquired by Tilton’s Patriarch Partners in late 2008 after its previous investor, Red Shield, went bankrupt. She revamped the old pulp mill to produce bio-butanol, a jet fuel derived from wood waste, and she flew up for a tour, cameras for her Sundance Channel reality show trailing along as she rhapsodized about woman-power and rebuilding American industry. That’s not likely to happen. Tilton was rumored to be interested in the Millinocket and East mills last summer, but the rumors evaporated after a tire-kicking trip to the Katahdin region led nowhere. She did, however, decide that a paper mill in Gorham, New Hampshire — another Fraser Papers property — was a desirable investment. Patriarch signed a letter of commitment in April, closed the deal in May and expects to resume production in June. Newspapers may be losing share to the digital world, but you cannot wipe your bum or blow your nose on an iPad. At least not yet. The day after Patriarch’s commitment was announced, Eddy DeBlois, a spokesman for the United Steelworkers in Gorham, used the word “excited” a lot. The union believed that Tilton had set a good example in Old Town; DeBlois said he felt confident that Patriarch would follow through with changes employees knew the mill needed in order to survive. There’s talk of fast-tracking natural gas lines to replace an oil burner and installation of a tissue machine. Newspapers may be losing share to the digital world, but you cannot wipe your bum or blow your nose on an iPad. At least not yet. Reached by phone during a business trip, Tilton allowed that “there are easier ways to make money” than investing in ailing pulp and paper mills. While her quotes about saving American workers’ jobs have gotten a lot of press, she said the point is not that there’s a tradeoff between a good cause and good business. “We do need to make good investments,” she said. “But it’s not the way we purchase. It’s innovation. It’s seeing what something might become.” That means developing models that will run machines while insulating operations from what she calls “the booms and busts of the pulp industry.” Say what you will about Tilton: hers are not the worst ideas about paper mills ever put forth by a private equity investor. A little showmanship doesn’t hurt, either. Private equity is a buttoned-up world that communicates via press release, maintaining a professional distance from the lives behind its investments. No millworker in America is naïve enough to be wholly trusting of a private investor’s motives, but Tilton’s oft-quoted remark that “It’s only men I strip and flip, my companies I hold long and close to my heart” resonates for a reason. In early April, after Meriturn backed out of its purchase agreement, the mill in East Millinocket was idled. Anxiety grew with rumors that Brookfield would start scrapping machinery if no buyer came forward by April 29, which had been Meriturn’s closing deadline. And Brookfield, which was said to be losing $1 million a month on the properties, offered both the East and Millinocket mills to the state for a dollar. Some people in the area like the idea of the state, or the towns, buying the mills and forming an ESOP with employees. It’d be something, to close ranks against the distant investors once and for all. But according to regional officials it would take at least $100 million to upgrade machinery, to install a biomass boiler at Millinocket and retrofit the facilities for profitable operation. Where would that money come from? What bank would extend loans and credit lines, knowing the only collateral is two idle paper mills that need a lot of work? There are already empty storefronts along Katahdin Avenue, Millinocket’s main drag, and they have been empty for a while. The shiniest building in town is the Pelletier Loggers Family Restaurant, which flies an American flag and has the front half of a truck cab fused to its second story. This is the brink of a quiet disaster — and not a sudden one. There are already empty storefronts along Katahdin Avenue, Millinocket’s main drag, and they have been empty for a while. The shiniest building in town is the Pelletier Loggers Family Restaurant, which flies an American flag and has the front half of a truck cab fused to its second story. A small building next door sells Pelletier family merchandise, because the Pelletiers are the stars of the Discovery channel series “American Loggers,” which follows their exploits as they haul timber up the Golden Road to mills far from Millinocket. Continue along Katahdin Avenue and there are houses for sale with handwritten signs in the windows: “$30,000 AS IS,” “3 Units $24,000.” The street ends at the idle mill’s gate. Dale Stevens, who worked in Millinocket and then East Millinocket after the former mill closed, said he hopes that “somebody would come in that has some money and know-how.” What that means, exactly, he’s not sure. Laid-off workers have had their health insurance extended through the month of May, but that doesn’t make their situation less precarious. Stevens, 58, says that if he cannot go back to the mill he will probably go back to school. After that, who knows. It’s possible, in retrospect, to wonder why this area left all its eggs in the paper basket long after everyone realized the risks of doing so. It’s less easy to say what else should have been done. Cozetta Bartlett, proprietor of a take-out lunch stand in East Millinocket, said there had been efforts to encourage entrepreneurs, but a depressed region doesn’t exactly inspire start-ups. “I don’t think people know what to open,” she said. Meanwhile, proponents of a Northern Maine national park have seized the opportunity to tout the tourism potential of such a project. If Maine’s deep-seated distrust of putting private property in government hands could somehow be overcome, a national park might create tourism jobs, but they would not materialize immediately. Mary Phillips-Sandy lives in Portland (not Oregon). Photo of Lynn Tilton from her Flickr stream, via Wikimedia Commons.